There is just SO much I can say about Carmina. She was my attorney twice. Two different cases. Both times I felt complete confidence when working with her. She made me feel like I simply didn’t need to worry. She kept me informed and updated. She taught me a lot about how things work and she always knew what to do!! No matter what we faced, she was successful. One situation was so crucial that her success literally made a difference in my life. I feel like if I want to work with someone who is going to get the job done that I need, she is for sure my go to person.she is reliable and so easy to deal with. I witnessed her complete passion when working my case. She argued for me with everything she had and she was impressive! The way I recall it all, she walks into a court room and makes it all just happen. She’s so good with everyone! So so intelligent and pleasant to work with that she made it all easy. She never gives up, she knows exactly what to do always. She’s just the best. I never knew her prior to these cases. She wasn’t someone who I even knew I was going to meet.however, I’m so grateful that I was blessed enough to have her on my side. You just can not go wrong retaining Carmina. She’s just born to do what she does. It’s incredible to witness. And I’m so proud to know her. Carmina is an excellent attorney and an amazing beautiful person! I wish her many more blessings and success in her career. You are already number one Carmina! Thank you!! Carmina really helped me during this very difficult time. She was attentive and answered all my questions. She always got back to me in a timely manner and assisted me in handling any issues amicably. I am very happy with my decision to hire her after consulting with several other lawyers. Carmina Tessitore is one of a kind. Knows the law inside out. She came as a lifesaver and rescued me in my case. She eased my worries, anxieties in my case. I could sleep in peace at night knowing she’s handling my case. She’s prompt in her response, excellent in advice, and superb in the courtroom. Thanks to her I’m peacefully divorced. 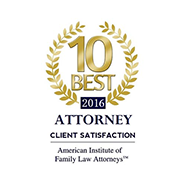 My case was a custody case that was very complicated and she nicely piece by piece resolved it. Even the judge praised her for the way she fought for me and my little girl. She’s an attorney with beauty and brains. Her advice and handling of the case gave me SO much courage and if it weren’t for her, I wouldn’t have been able to have a favorable outcome. 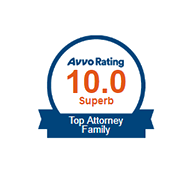 I would recommend her to everyone- she resolves even the most complex court filings in your favor. 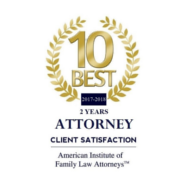 She is one honest attorney who works really hard for you – day or night. She fought for my custody really hard. Love you for ALL that you did Carmina! She is a true asset. Ms. Carmina Tessitore guided me through this most painful emotional life changing event with warmth and compassion. When I would feel scared or hopeless in my attempt to end my marriage of 36 years, she was able to restore my confidence that an older woman with no personal assets could have a fair resolution and begin an independent life. 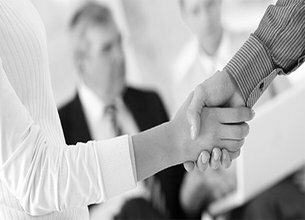 It was imperative that I divorce a very difficult man and she developed a professional strategy that allowed me to retain my last shred of dignity without resorting to personal attacks or trying to win what is fair through fault finding and mudslinging. How wise she is because my formally loving husband decided that he would design the divorce that way. I asked Carmina to take the high road and she immediately agreed. 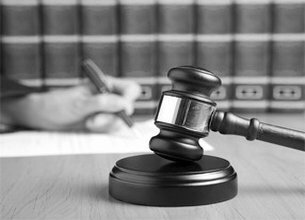 Her skills were evident by demonstrating that honesty was key in the courtroom. 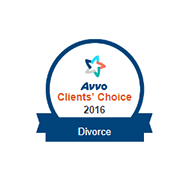 As a result, the final terms of the divorce were highly favorable for me and reacting by not attacking him actually imploded his strategy. I will never look back with regret and I can hold my head up high. Believe me; this is the attorney who can handle the spouse with the anger issues and she exposed the hostility without ever suggesting that it is obviously there. The trial was far from easy, but she was loving and kind to me throughout the bombardment of challenges he designed to hurt me. I was never worried and we were successful. I highly recommend Carmina and I couldn’t have done this end of an era without her. I’m living my new life and it’s a good life. She helped me through an incredibly difficult matter. She is very knowledgable and patient (I ask a lot of questions). I highly recommend. Great at keeping communication between the two party and remembering who matter the child. 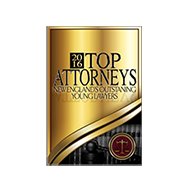 THE BEST MOST EFFECTIVE WORK IVE EVER WITNESED from an attorney!! I met Carmina after years and several other attempts at beating my case. It was a tough case. She handled two of mine. Like phenomenal and exquisite professional fire she nailed the entire thing. (Both times!) She is truly the most passionate, dedicated attorney I have ever come across! Never once did I question her, she was confident and well knowledged. She captivates in the courtroom. She is THE Carmina Tessitore! There is no other for sure! You would not be disappointed! I will forever be grateful for meeting her! 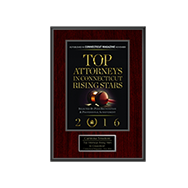 After speaking to other attorneys, I chose Carmina Tessitore who took the time to meet with me first to make sure we were a good fit. She was both compassionate and professional, and her friendly personality won my trust. I knew she had my best interest in mind at all times. She honored her promise to expedite my divorce, as she was aware of a recent change in uncontested situations, going the extra mile to file this paperwork, sparing me the grief of dragging this out, and helping me to move on sooner than expected. Whenever I had concerns, she was accessible and emailed me back the same day. 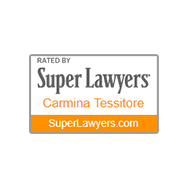 I would highly recommend Carmina to anyone in need of an efficient, positive outcome for legal assistance. 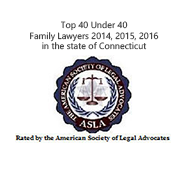 Carmina handled an extremely contentious divorce for me and was extremely knowledgeable about the circumstances surrounding gay civil union and marriage law in CT. She was able to negotiate an acceptable settlement for me in a case that could have dragged on for years. Her attention to detail, prompt responses to my questions, and courtroom presence were all exceptional. 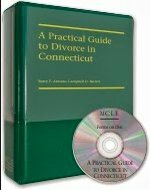 Featured author in A practical guide to divorce in Connecticut. 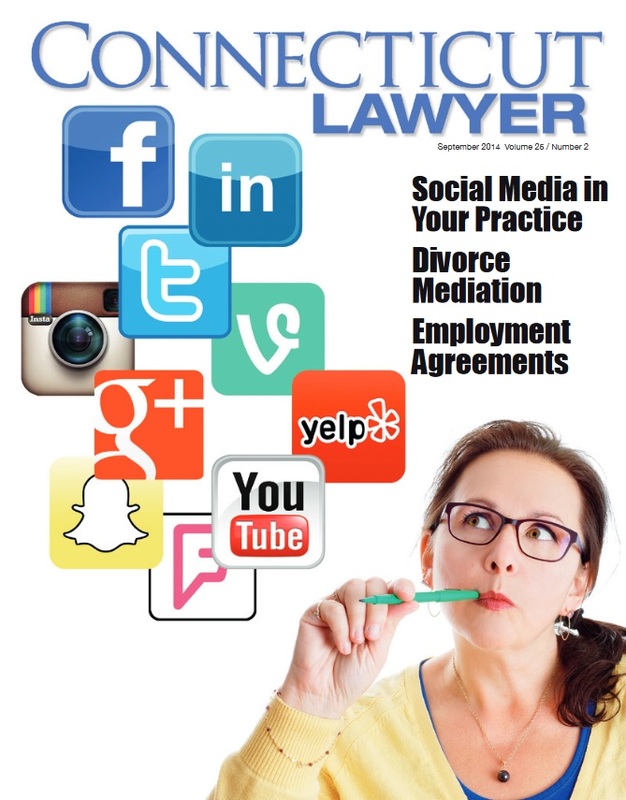 Published Article - Divorce Mediation: Mediating Financial Disputes. 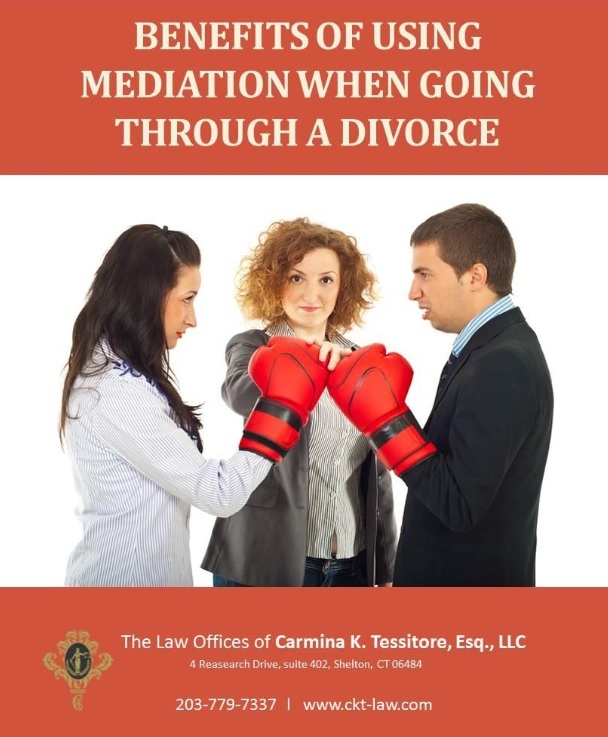 Benefits of using mediation when going through a divorce.